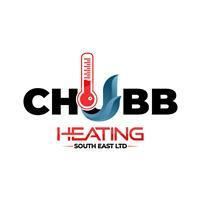 Chubb Heating South East Ltd - Central Heating Engineer based in Shorne, Kent. Thank you for looking at my page, I'm Dan and have recently started my own company after spending the last 18 years working for British Gas. I mainly work on my own but have close relationships with family members and close friends that are also in the trade should larger jobs need more than one person. I am looking to cover all central heating work, cooker installations, water heater and fire installations and repairs I also undertake plumbing work and, breakdowns, servicing and power flushing. I provide a personal experience taking your needs in to account and providing free quotes and advice to give you the best solution for your needs. I look to provide British gas quality and standards at a reduced price and more personal experience. I like to treat all the homes I work in as my own and take every care in my work and will not leave until I am completely satisfied with the finished result.